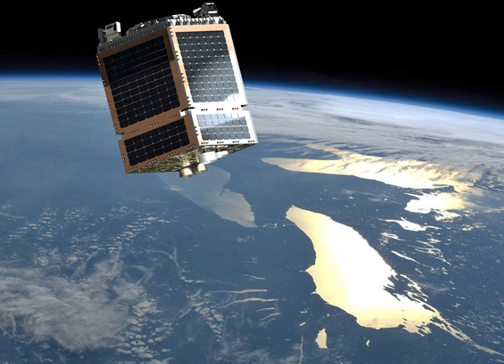 Optus Satellite and Telesat are going to collaborate in live, over-the-air trials via Telesat’s recently launched LEO satellite. Telesat’s Phase 1 LEO satellite was launched in January of 2018 and is now undergoing commissioning and orbit-raising. Telesat’s LEO constellation, once fully deployed, is designed to deliver transformative, low latency, fiber-like broadband for commercial and government customers throughout the world, including in Australia and New Zealand. The initial constellation will consist of approximately 120 state-of-the-art satellites by 2021 providing full global coverage and Telesat is evaluating options to expand its system beyond this initial configuration. Telesat is uniquely positioned to deliver the world’s most advanced and capable LEO constellation given the company’s deep technical expertise, strong track record of innovation, senior spectrum rights, and industry-leading customer service and support. Artistic rendition of Telesat's Phase-1 LEO satellite on orbit. Image is courtesy of the satellite's manufacturer, SSTL. Phase 1 testing will enable Optus to experience the advantages of Telesat’s system — including ultra-low latency and high speeds – and assess the role Telesat LEO can play in Optus’ next-generation satellite networks. Optus and Telesat will work together, using Telesat equipment and existing Optus infrastructure, to perform the testing at the Optus satellite teleport in Belrose, NSW, and at other locations in Australia. Optus and Telesat will also explore a longer-term joint services and market development plan, specific to Telesat’s LEO initiative, for Optus’ customer segments and regions of interest. Both parties look to leverage their combined commercial and technical capabilities to transform the communications experience. Paul Sheridan, VP, Optus Satellite, stated that satellite has long played a key role in meeting the important networking requirements of the company's enterprise and government customers across Australia and New Zealand. As an industry leader, Optus is always looking to leverage the most advanced technology to meet the mission critical needs of the firm's customers, including improved and flexible geographic coverage, faster satellite data rates, reduced signal latency, and overall best economic value and user experience. The Optus evaluation of Telesat’s LEO design gives the company confidence that their system is capable of delivering these improvements and has the potential to become a core component in Optus’ future infrastructure. Dan Goldberg, President and CEO of Telesat, furthered that Optus Satellite has a long track record of innovation and outstanding customer service and the company is delighted to be teaming with them to demonstrate the game changing benefits of Telesat's next-generation LEO constellation for users in Australia and New Zealand.